As long as people have had mirrors, they have wanted to look younger. It’s just natural for a person to want to maintain their youthful appearance as the years go by, but nature is often no help in this regard, so people turn to other solutions. For some, the most direct way to drastically improve their appearance involves invasive cosmetic surgery. While expensive, time-consuming, and painful, it is certainly effective. However, if you’re wanting to turn back the clock without going under the knife, your cosmetic dentist in Orange Park may have exactly what you need, giving you dramatic results without the expense or uncomfortable recovery period in just a fraction of the time. Everything about our bodies change as we age, so of course, this includes our teeth. Just like with our hair and skin, our smile can indicate our age, and in many cases, make us appear older than we really are. Common dental problems like chipped, cracked, or missing teeth can instantly add years to a person’s face and make them feel extremely self-conscious. Fortunately, cosmetic dentistry is able to tackle these kinds of problems directly and provide results on par with traditional cosmetic surgery. Nothing makes a person seem younger than a bright, white, and confident smile. No matter what your smile may look like now, a qualified cosmetic dentist can easily take decades off of it so the next time you’re eating, speaking, or simply spending time with your friends, the last thing on your mind will be your teeth. Porcelain Veneers: These extremely thin ceramic coverings are bonded directly to the front of the teeth, and they are one of the most popular cosmetic treatments available today. They can correct a wide array of issues with just one treatment, such as chipped, cracked, broken, crooked, and even gapped teeth. Invisalign: Want to straighten your teeth without noticeable metal braces? With Invisalign in Orange Park, you can do exactly that. It uses clear plastic aligner trays to precisely straighten the teeth, and they are so discreet that only you and your dentist will know you’re undergoing treatment. Teeth Whitening: Coffee, wine, tobacco, aging, and even genetics can make your smile start to look dull and discolored, but with a professional teeth whitening treatment, your smile can be made 8-10 shades whiter in as little as one appointment. Dental Implants: Have missing teeth? Dental implants offer the next best thing to nature, providing a solution that is both natural-looking and built to stand the test of time. They can be used to rebuild your smile whether you are missing a single tooth, multiple teeth, or even an entire row. These treatments have already proven effective for millions of patients around the country, and the results can be expected to last a lifetime. 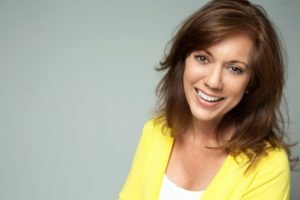 Whether you just want to shave a few years off of your appearance or completely revitalize your smile, you can do it with the right cosmetic dentist, so to get started, contact one in your area today. Dr. Matthew Nawrocki is a practicing general, restorative, and cosmetic dentist in Orange Park, FL. One of his favorite things to do is give his patients a beautiful smile and watch their reaction when they see it in the mirror for the first time. If you’re interested in taking years off of your appearance in the simplest way possible, he can be contacted through his website.